We also support publications, conservation and educational activities. Among recent acquisitions which the Leeds Art Fund has supported are: Northern Art Prize winner Pavel B�chler’s Fly; JMW Turner’s The Valley of the Washburn; and Thomas Pitts’ chinoiserie silver epergne of 1759. 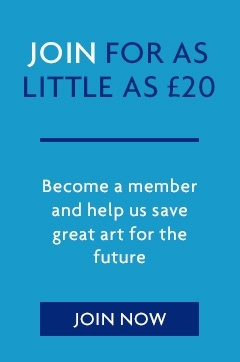 Join Leeds Art Fund today – Show your support for the visual arts in Leeds, enjoy exclusive membership benefits and help to acquire great art for the city.